Add sparkle to your smile! Ensure the brightness of your smile! in the very back of the mouth, under the gums. Your Accent dentist will apply the hydrogen peroxide whitening gel to the surface of the teeth. The extraction of a tooth is generally a very quick process and can be conducted in one sitting. Transform your smile with Invisalign – the clear alternative to braces. We are excited to introduce Dr. Sachdeva, General Dentist to the team at Accent Dental. Dr. Sachdeva studied in India and Ontario and continues to learn and add to his skills. His goal is to provide top quality care for his patients in a gentle and caring manner. We can't wait for you and your family to meet him. To learn more about Dr. Sachdeva, click here. To book an appointment, please call or email us. We can talk for a long time about advantages of our Accent Dental before other medical treatment facilities. I’m not brushing and flossing as much as I did in the beginning. I make a point to brush and floss when I wake up and before I go to bed. When I take my liners out to eat or drink colored beverages like coffee, I try to have a good mouth rinse with water before putting them back in. Routine Dental Checkup - What Happens? When you first enter our office you’ll be greeted at reception. Please check in so that we know you’ve arrived and can notify the members of our team that will be taking care of you. Three Secrets to a Healthy Mouth! We know that making new healthy habits can be tricky and that maintaining those habits can be even more difficult. 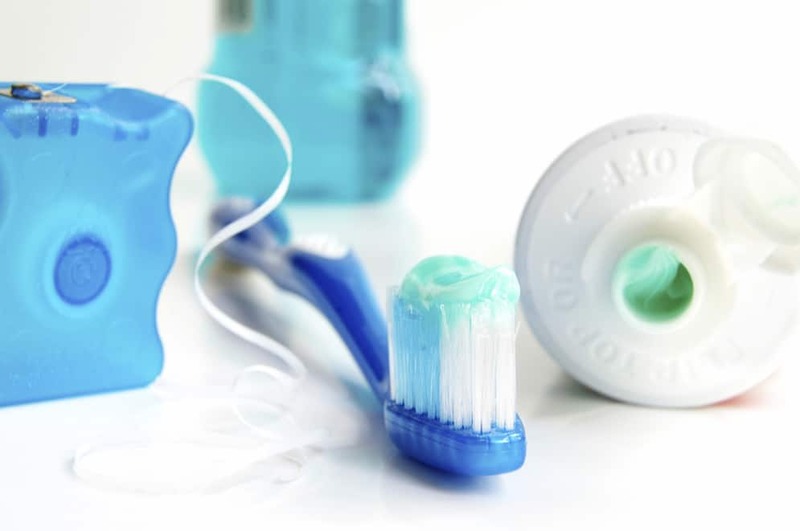 By following the three rules below you’ll be drastically improving your oral health while reducing your risk for gum disease, tooth loss and other dental problems. At Accent Dental teeth whitening is offered in-office by appointment. Your Accent dentist will apply the hydrogen peroxide whitening gel to the surface of the teeth and then shine either a whitening lamp or laser on the area, enhancing the effectiveness of the gel and strongly improving results. 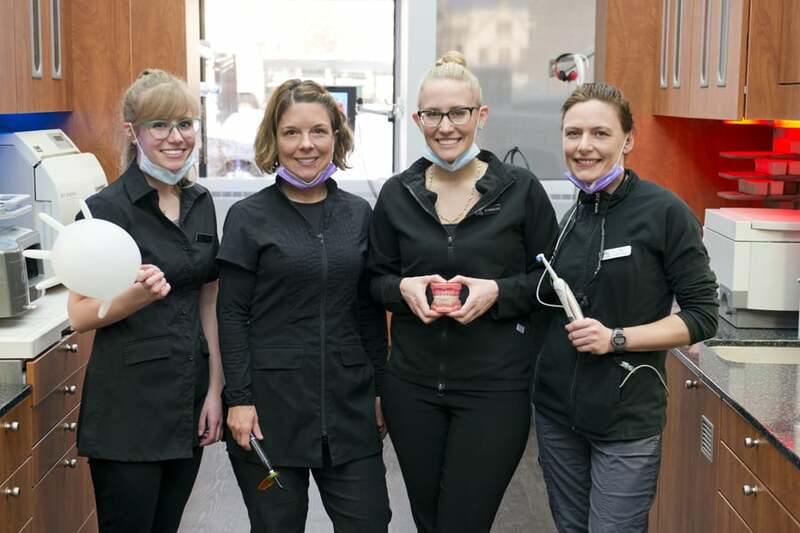 Teeth whitening in Prince George is very popular, so be sure to book your appointment well in advance. We offer in office as well as take home whitening kits. Implants are used extensively for people who have no teeth at all. In fact, this can often be where the advantages of dental implants "shine" the most. Gone are the days of accepting ill-fitting dentures and a less than ideal smile. Dental implants can be used to secure loose dentures with a connection that can be removed by the patient. There are also treatment options available that are fixed, just like real teeth, to the mouth and can only be removed by your dentist for cleaning and maintenance. We follow BC dentist fee guide. We accept all dental insurance plans. We accept BCDP and Status dental assignments. During your visit, we'll discuss with you the cost of your treatment, and each of your available payment plan options, so that you are able to make the best choice for you, your smile, and your family. 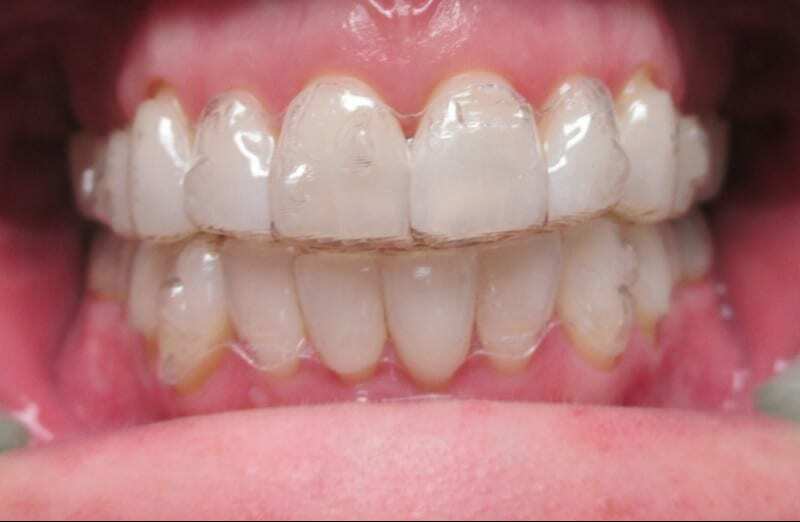 Invisalign braces are clear, plastic, aligning trays that are custom fitted to your teeth. The trays shift your teeth based on the movement plan that your Accent dentist sets out for you. Approximately every two weeks, you'll switch out your aligners for a new set, continuing the process of gradually shifting your teeth into place. We offer no obligation complimentary scan and invisalign stimulation. We offer easy payment plans for Invisalign to help you get the Smile you wanted. Carlie had problems with her wisdom teeth for the last two years. They were one of those things that she kept putting off, but eventually, realized they had to be dealt with. Heather took a leap and decided to give Invisalign Clear Braces a try. The result wasn't just straight teeth. Heather got her smile back. We know you’ve heard it a million times but we’ll say it again: Routine Dental Checkups Are Important!